I feel like there is an epidemic looming over the heads of most Hi-Fi audio music player designers. Most just can’t seem to get it right and so few end up with a solid performer, yet something actually portable. You know…not a distant relative to that cinder block that has been sitting outside of my house for years? I won’t bore you with specification details in the beginning of this review, so I will start off with the conclusion first. That is just how I roll. 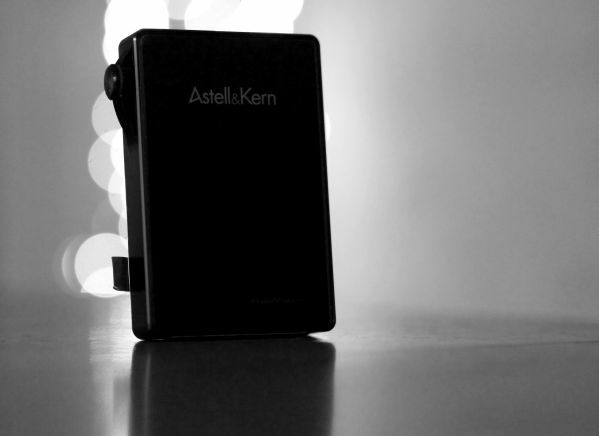 The stock AK120 by Astell and Kern did not mesh with my ears, sadly. Not that it was bad, I just didn’t enjoy the sound signature at all with the headphones I currently owned. There was just something about the tonality that really bugged me, I really disliked it and it was purely a matter of preference and nothing to do with lack of clarity or anything like that. It had plenty of clarity and was certainly a few steps beyond it’s little brother the AK100, as well as it’s zombie mutant offspring cousin the iBasso DX50. I just could not find anything I owned that meshed with the player, so off it was sent for modifying to Red Wine Audio. Once I got it back, I realized that within 10 minutes of usage with the new modifications, the player would be one of the very few things I would try to take with me if the world were to suddenly end. If the zombie DX50’s suddenly became sentient and started to attack the Earth, I’d build a pit and fill it with my X-girlfriends, I’d train them in the deadly arts and force them to listen to bad headphones to inspire rage so that they can defend me in the zombie outbreak of the future. Nothing better than ninja x-girlfriends at your side ready to throw themselves into ravenous zombie hoards…am I right? No? Ah well. 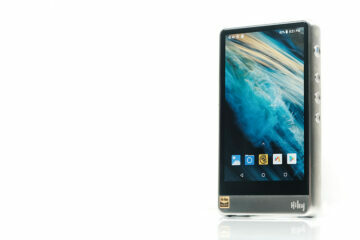 For $1300US, this is a bit crazy and leaves me shaking my head as to where the world of portable players is going. Question: Is the price of the AK120 justified? Yes and no would be my answer. My wallet is screaming, my ears are singing. So if you have the cash and want the only real PORTABLE Hi Fi Audiophile grade music player, go buy one. Stop…wait a second, turn around. Throw another $250 onto that and send it off to Red Wine Audio for the standard RWAK120 mod if you are primarily using custom inner ear monitors. Is this (the stock 120) another case where the mfr. diddled with the sound to try to produce one of those “headphone soundstage” signatures to sound more like speakers? I’m not suggesting a specific DSP or whatever here, since I’ve heard 100 different versions of those soundstage processors and all were different. But I expect some of these mfrs. to sneak that stuff into their product, hoping it will get a good review. Nah, I don’t think anything like that is inside the AK120. Then how could they get such an awful signature? I was about to buy a FiiO X3, and I expected it to be sonically neutral. The only reason I didn’t get a AK120 is due to limited memory and the need to swap cards, which I won’t do. I’m a bit confused by what you said at the moment, Dale. The presence of something inside the chip structure to help with sound staging would make it sound better than it is. It sounds “only good” and not great because it doesn’t have what you mentioned. The AK120 has the largest memory capacity in a hi fi portable player and the newest version comes stock with 128gb of internal memory. You get two micro sd card slots for an additional 64gb + 64gb. The 128gb micro sds are overdue, probably going to appear in 2014. The X3 can only support one micro sd card and the AK120 supports two at the same time. Also, the X3 isn’t as good as the iBasso DX50, which itself is pretty much the same in most qualities except tonality than the AK100. What I said was a comment on the review here which didn’t like the stock sound. As I read it it didn’t say “I dislike the stock neutral sound”, it seemed to say “The stock sound isn’t neutral or an improvement on neutral either”. But I don’t know how to evaluate that, so for all I know it might be the best sound in the world. Anyway, assuming the sound works out in the end, the memory interests me more. It seems you’re saying when the 128 gb MicroSD’s appear the player will support two of those for a total of 384 gb? That would be enough to hold my WAV tracks with some room to grow. I don’t think the stock sound signature was neutral, it had a shimmer, it was colder than what i felt comfortable with. I don’t see why the portable players wouldn’t be able to support a 128gb card with a firmware update.